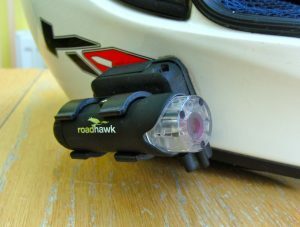 It seems everyone is riding with a camera protruding from their helmet these days, all super hot shot VBlogger’s in the making and hoping to match the likes of Baron Von Grumble / Royal Jordanian, or simply bring all wrong doers to justice. The reality is, 99% of the footage shot on a bike is pretty dull to watch and the remaining 1% needs some serious editing to create 5 minutes of entertaining YouTube video. However, here are some more adventurous riders whose YouTube channels don’t contain yet another dull city commute dodging pedestrians. Enjoy! This channel documents the adventure of Kim Ward riding out from London, travelling East across Europe, the ‘Stans, through China and aiming for Nepal, but somehow missing it and ending up in Thailand. 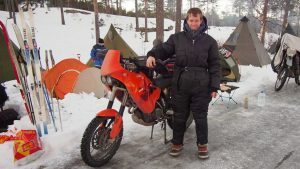 A friend of mine who likes big KTM’s and Land Cruisers and has undertaken many an adventure from the tips of Iceland to the Sahara desert. Lots of short videos of his antics, do check them out. I saw Steph set off from the Ace Cafe on a little Honda CRF250L back in March 2014, with her plan to ride around the globe across 7 continents. Currently she’s having a little R&R, and come on, after 52k miles in 2 years over 5 continents that’s hardly wimping out. Watch her channel for updates as she resumes her adventure. 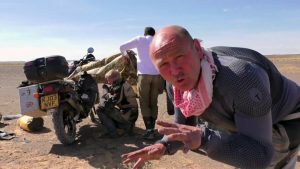 A channel by bike instructor Rod Shaw with a wide range of vids, but most notable are his adventures across Europe and beyond with his trusty sidekick Sniper. It’s clear his tongue in cheek humour pulled him through the countess mishaps and tribulations. Most refreshing is their proof you don’t need months of planning, a big GS and oodles of cash to adventure, These two had a fortnight’s planning, £900 and cheap commuters hacks! You may remember Gordon Stuart from a couple of years ago when he did a sponsored ride to the Nordkapp in the Artic circle for the charity Cerebra. Do check out all the vids from the adventure if not. After having a bit of a break, he’s been blogging a lot more and teased us with more vids. There you have them, maybe you’re new to some of these VBloggers; maybe you just haven’t caught up with them in a while. Either way, hopefully you’ll find an interesting vid to watch and maybe even plant the seed for your own adventure… If you have some vids from your own trip abroad, please leave a comment, I’d love to hear from you.